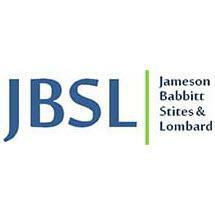 Jameson Babbitt Stites & Lombard, PLLC, is a 15-person law firm located in Seattle, Washington. We provide legal services to individuals and to local, regional, and national businesses. Our lawyers are skilled in a broad variety of legal practice areas. As a firm, much of our work involves commercial real estate and civil litigation. Our goal is to serve each of our clients effectively, responsively, and efficiently. Our success in meeting that goal is reflected by the repeat business and referrals we receive from our clients.